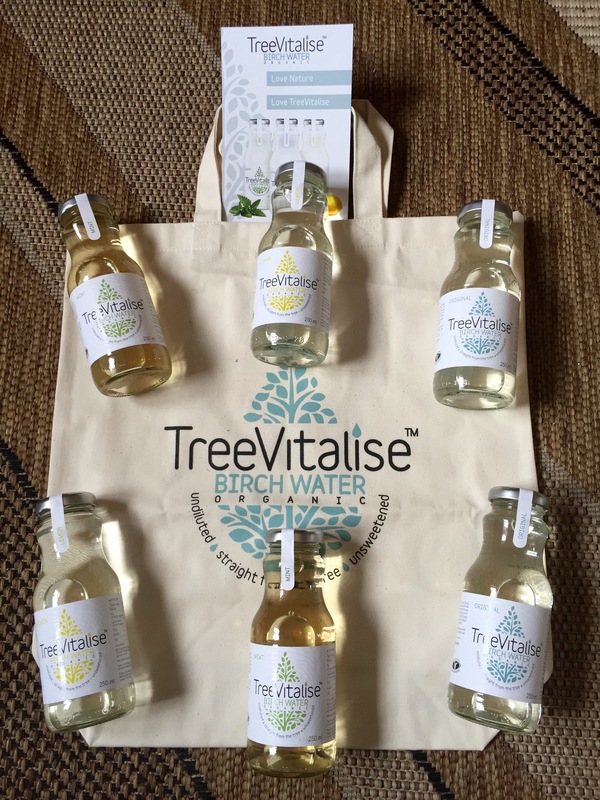 This post is a little late but here’s my review of TreeVitalise Organic Birch water I received from Fitlondoners Instagram competition. The bottles came beautifully wrapped and I also received 2 branded cotton bags which come in handy when I go to the supermarket. Birch water has been hailed by health enthusiasts as the next coconut water and has been gaining popularity as a natural super drink. Coconut water has been my go-to health drink. I had never tried Birch Water and was keen to see what all the fuss was about. Birch water is the sap extracted from a birch tree. Birch water contains vitamins and minerals, including: Vitamin C, xylitol, manganese, potassium, calcium, magnesium, zinc, phosphorous, sodium and iron. Birch sap is a traditional drink in many parts of Eastern and Northern Europe and Russia, where it has been tapped and enjoyed for centuries as a good-for-you and pleasanly refreshing drink. In the old days it would have been the first nutrient-rich nourishment available to the locals from nature itself after a harsh and long winter. Birch Water contains xylitol which can help to maintain good oral health. Xylitol has been proven to decrease risk of cavities and is a widely-used sugar substitute. Birch tree sap contains diuretic properties that help to flush out harmful toxins, uric acid, and excess water from the body. 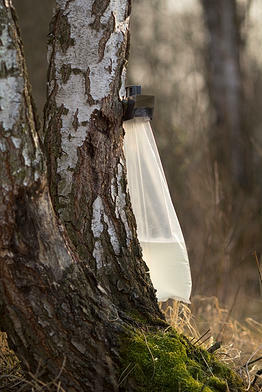 Birch tree sap contains saponins that can help to lower cholesterol by binding to bile acids and cholesterol. Saponins lead to the depletion of body cholesterol by preventing its reabsorption and increasing its excretion. Birch tree sap helps to detoxify the liver. 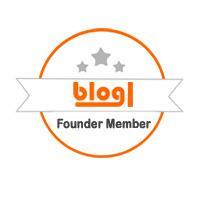 It captures and is able to neutralize toxic waste products. It eliminates toxins that only the liver can process such as alcohol, saturated fat, pesticides etc. Birch water promotes kidney health by eliminating and filtering waste through the urinary tract. “Our Organic birch water comes from the Carpathian Mountains, an ecologically clean area of great natural beauty known as the “Green Pearl” of Eastern Europe. And it’s the mixed forests here that give TreeVitalise its special taste. This is how it happens. In the first weeks of Spring thaw, when the snows begin to melt, the roots of the birch tree absorb the new water. This liquid is enriched with all the nutrients that have been stored in the roots over winter, and drawn up into the trunk and branches. Filtered by the tree and packed with vitality, the “living” water wakes the tree from its winter sleep and kick-starts it into new life. Because this only happens for a couple of weeks a year, now’s the moment when we tap the tree. Of course, we only take a small share, and leave plenty of revitalising water for the tree itself. So the birch, totally unharmed, stays happy and healthy, while we bring some of its vitality for you to enjoy. 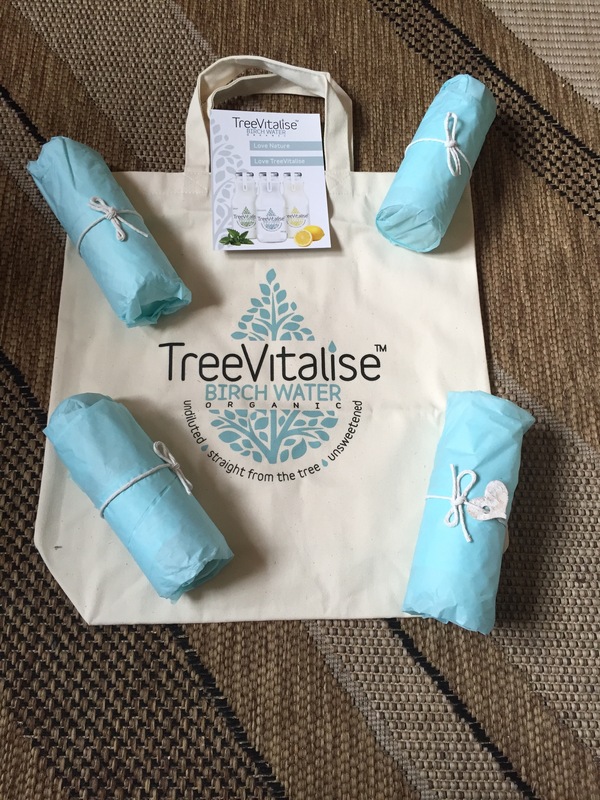 TreeVitalise Organic Birch Water is available in original, lemon and mint. The original birch water is like fresh spring water but slightly sweet. My personal favourite is the lemon infusion. They are best drank cold, all 3 flavours are refreshing and are a great way to hydrate the body. They also contain less calories than coconut water. They taste great on their own, even my kids love them. I also like to add them to smoothies. When shopping for birch water stay clear of those with added sugar or artificial flavourings. TreeVitalise Birch water is available in some independent stores in the UK and Ireland or online from Revital and Realfoods. Have you heard of Birch water or even tried it? Let me know what you think in the comments below.